When in recovery, regardless of a patient’s object of addiction, it has been proven beneficial to have a well-structured family to fall back on. Collegiate Recovery Centers argue that a common flaw in recovery programs is the absence of the family’s involvement. At CRCs, there are weekends on which families can obtain information about addiction and recovery, as well as have family therapy. Often, families are unaware of the struggle and science behind recovery, and thus cannot properly aid their loved ones through this tough time. Not only do families supply support, but they are important in recovery because they often have a large influence over their members. 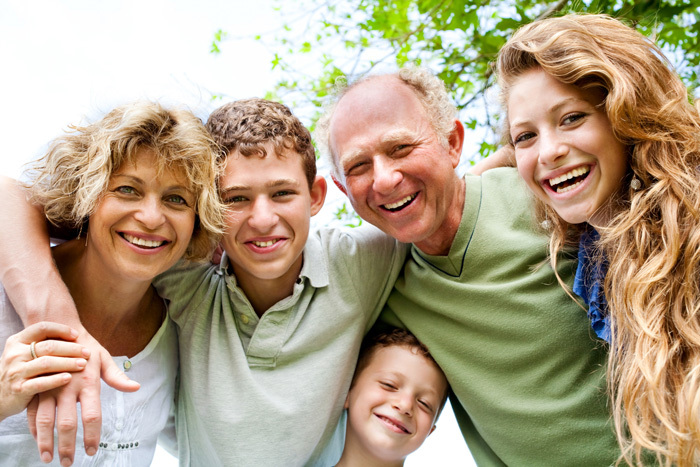 Therefore, it is easy to imagine that a positive family life leads to a more positive recovery. The reason why family therapy is helpful mirrors the science behind inpatient programs for addiction recovery, as fully immersing a patient in their recovery is typically the most efficient way to obtain and maintain a lifestyle clear of relapse. Being surrounded by a new, drug-free environment forces the addicted patients to be involved in their recovery in an extremely hands-on way. Unlike the familiarity of family, the unknown surroundings found within inpatient programs are the reason why it works more efficiently than outpatient programs, studies show. Removing a recovering addict from a toxic environment, such as a community in which drugs are abused regularly, will definitely ease them into recovery. Though outpatient recovery is still beneficial, much of the social aspects of recovery are much more difficult to deal with. Families can be the support that an outpatient in recovery may need. Collegiate Recovery Centers aid families in understanding addiction in order to help their loved ones cope with the realities of addiction. A well connected family will also benefit from multifamily groups or family therapy, both of which contribute to an overall network that a patient battling addiction can fall back on and begin to trust. Multifamily groups have been proven to be extremely constructive not only for immediate help but for lasting results, as patients with strong familial bonds are proven less likely to relapse in treatment. The crucial support that a family gives to a struggling loved one must stem from a deep understanding of addiction and a determination to help them. For this reason, the Collegiate Recovery Center encourages a homeostatic home environment, in which all members can identify the attributes of positive recovery and discuss them among each other. According to the University and multiple recovery centers, a strong familial base can really further a positive recovery in which a relapse-free life begins and prospers. Overall, inpatient recovery programs and family-based programs are both immensely effective for completely opposite reasons. Collegiate Recovery Centers demonstrate the wide variety of treatment options not only for addicted students but for addicts anywhere that are striving for a clean lifestyle. Are you or a loved one struggling with addiction or alcoholism? Contact the Ranch at Dove Tree today to get started on the road to recovery. 800.218.6727.